A trial separation is a time limited, structured separation, best used when both spouses want to build their relationship. Unstructured separations, on the other hand, are much more helpful when only one spouse wants to reconcile. Will a trial separation help repair your relationship or push it further apart? Trial separation is a method commonly used by marriage counselors. Marriage counselors work with couples when both want to rebuild their relationships. Neither marriage counselors nor trial separations are good options when you want to re-attract and re-connect with a spouse who wants to separate or divorce. Reconciling with a reluctant and resistant spouse requires an altogether different approach. . . Many men and women try to get their spouse to go to marriage counseling even if their spouses do not want to reconcile. They believe that the therapist is going to try to talk their spouse into reconciling. The fact is that a counselor cannot talk your spouse into having feelings that he or she does not have. So instead what happens is the counselor will focus on the problems that you are having in your relationship. We only want to do problem solving when someone agrees with us on what the problem is and desires the same outcome. Otherwise, you just get more conflict. So, if your spouse agrees with you that your marriage has become disconnected and wants to become close to you again, counseling is an excellent choice since it will focus on helping you to communicate in a way that feels supportive, helps you to connect, and to come up with good ideas for making your marriage work better. There is a definite good purpose for using counseling and I even wrote a book to help people to benefit more from their counseling. 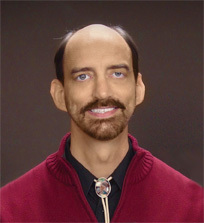 As a psychologist, I was a counselor for many years. I often recommend people get into counseling when that is best for their situation. We do not want to do problem solving when we are not in agreement. This is because we will end up talking about our differences, will not feel supported, and will not be motivated to come up with solutions. We will have conflict when we talk, because we both want something different. Knowing when to talk about problems and when to work together is an important relationship skill. 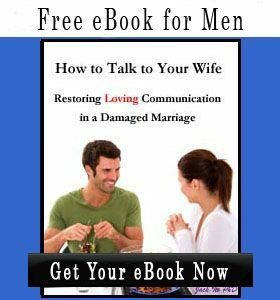 Because of its emphasis on talking, marriage counseling is a poor choice for reconciling with a resistant spouse. You will end up more distant, your spouse will be more convinced the relationship needs to end, and you will be frustrated with the counselor. Coaching will end up being a better choice for this situation. Trial separations help couples to reduce particularly negative time they are spending together and replace it with positive time together. This is good for high conflict situations when both spouses want the relationship to work. They follow certain rules to protect their marriage, follow planned times for dating, and planned ways of talking. The separation has a certain time limit followed by a re-evaluation, typically with the marriage counselor. The hope is that they will be able to experience each other in new and positive ways that they are both motivated to have. How long should trial separations last? Trial separations are to increase positive time together while reducing negative time together. So, they need to be long enough to achieve this trend on a consistent basis. It will do no good to get back together if most of the time is going to be negative again. That would only lead to a worsening relationship and a sense that therapy failed. While you may have decided on a specific time, this may need to be changed. It depends on how well you both have been able to reconnect during the separation. Any kind of separation, ended too soon, will do more harm than good. If you have a spouse who wants to get out of your marriage, he or she may agree to a trial separation, but it’s not because of a mutual desire to rebuild your relationship. For such a spouse, it is a step toward their freedom. They look forward to the day when the trial separation is over so that they can move into a permanent separation. Any structured dates will not be desirable for them and they will only use them as opportunities to continue to resist and reject you so that you can become convinced the marriage is over. To do otherwise would work against their plan to leave you. Look, I know you are not attracted to me now. But, will you agree to talk on the phone twice a week and go out on a date every Saturday night with me for the next three months? Then, we can evaluate the relationship and see if you have changed your mind about me and might want to marry me. Hopefully, you can see that this would not be a helpful approach. The person would likely run the other way. If, for some strange reason they agreed, then every time they saw you they would be aware of your goal of marrying them, they would be aware of how they are not in love with you, they would not relax with you, and their feelings would not grow. This agreement would only serve the purpose of helping you to see that the relationship is not going to work and to give up on the other person who remains unresponsive to you. Rather than making some structured plan, you would instead be interested in the other person’s ideas and plans. You would validate their ideas and feelings–not try to convince them that their thinking is all wrong. This would help them to relax with you and start to enjoy talking with you. Only after you have connected some and the other person has some desire to go out with you, would you go out on a date. Your goal would be simply to have a good time with no agendas. If your relationship skills are good and you are attractive to the other person, he or she will continue to go out with you. You would not impose any structure or expectations because those would get in the way rather than help. Since reconciling is like building a new relationship, it doesn’t happen by talking about your relationship. Nor does it involve any convincing or structure. You must use many of the same skills you would use for a new relationship, but the pace will be much slower. This will help with the rebuilding of trust–a prerequisite for loving feelings to return. This approach is opposite that of the trial separation. That is why I never promote trial separations for my clients who want to reconcile with a spouse who wants out of their marriage. If they are in a trial separation already, I help them to remove the structure so the relationship can start to grow. My clients work on connection and attraction skills since the competition is on in a reconciling situation, even more so than when they first met their spouses. Their spouses already believe that the most attractive and wonderful relationship they could have cannot be found with my clients. They believe the grass is greener elsewhere, and unless my clients become good at these skills (which they failed to have in their marriage), their spouses will continue to vanish from their lives. Going through the motions of dating, talking, and re-evaluating your relationship will not re-attract your spouse. But, you can do that just as you would with a new relationship. 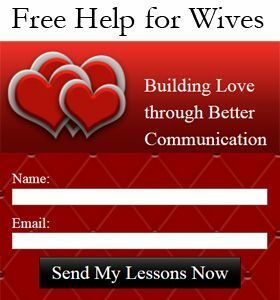 If you need skills for reconciling with a spouse who wants to separate or divorce, the most helpful resource will be my Re-Connections Coaching Package. This package does not involve your spouse in any way. It give you intensive one on one training in areas where you need it so that your spouse will enjoy talking and being with you again. 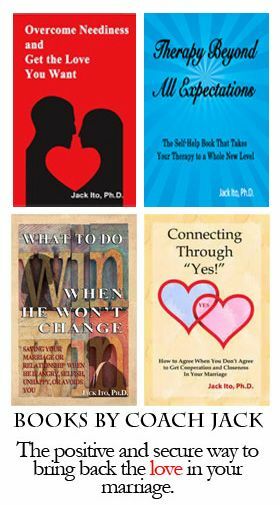 Other resources include my books, which focus on helping you to build your relationship without your spouse’s cooperation–a necessary requirement if your spouse wants to separate or divorce. Which of these resources would be most helpful for your current situation?